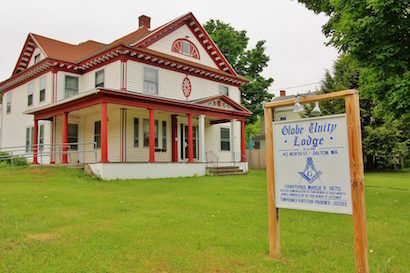 Unity Lodge, from 1896 to its merger with Globe Lodge in 2009. Globe Unity Lodge, from 2009. 06/28/1897: 1897-153; Dedication of Masonic Hall as part of constitution ceremony, Special Communication. This page was last modified on 30 December 2015, at 11:21.